Stand for Children was recently dragged through months of hearings after a politically motivated complaint was filed alleging they broke campaign finance laws. Earlier this month they were unanimously cleared of wrongdoing. According to a new editorial by Daniel O’Donnell, it seems likes Stand for Children is looking ahead to a new year where they can return their focus on improving Nashville’s education. Let that sink in. Behind those numbers are real kids with real lives – kids who deserve urgency and focus from adults. Nashville spends an enormous amount of time debating public charter schools, and that debate no doubt colored the recent school board races. The prevailing charter narrative notwithstanding, Stand advocates for strong public schools, regardless of type. Our record here has been consistent: In recent years we’ve fought for high-quality pre-Kindergarten expansion, high academic standards and topnotch district leadership. As a city, we should be doing more to support and learn from some of our incredible charter schools, while doing a lot more to lift up the schools that the other 90 percent of students attend. It’s really not that complicated. Since the August election, we’ve been working with hundreds of parents in North and East Nashville to tackle one of the biggest challenges facing our school system: below-average third-grade literacy rates. Ensuring more third-graders are on track is one critical component of a larger effort to close Nashville’s achievement gap. You can read the rest of the editorial here. I agree with O’Donnell that we spend too much time fighting over charter schools when we could be spending that same amount of time on the abysmal literacy rates of our students. Let’s focus on all the students in our district and work together to make MNPS better. Teachers collaborate every day to do what’s best for students. It’s time for organizations, school board members, and district leaders to collaborate to help all of our students. Government spending is often portrayed as a freight train “quickly running out of track.” And there is some truth to that statement. There is not an endless supply of money to fund every good idea that comes along, and we must acknowledge that problem. Fiscal responsibility is a must. That is why spending on priority issues like public education is important. You can spend $9,000 a year for a child to receive a quality education, or you can spend $40,000 a year to incarcerate an adult in some communities. That is a harsh reality. You have read the statistics enough to know that there is an undeniable connection between literacy skills and incarceration rates. Children who do not read on grade level are more likely to dropout, use drugs or end up in prison. Research shows that reading abilities in third grade act as a tell-tale barometer for later school success. We need to come together as a society and work to address the real issues facing our children. We need to have community conversations about what we expect from our local schools, but we need to recognize that the problems are much larger than what a school can address and are likely to be different in each community. A “one size fits all” approach simply does not work. You probably know the line, which comes from Jim Collins’ bestselling business book, Good to Great: “Get the right people on the bus, the wrong people off the bus, and the right people in the right seats.” It is important that we start prioritizing our spending, and over the long run it will save money that we can use to create a stronger public school system. And we have to get the right people into our classrooms and retain them. When educated and intelligent citizens make informed decisions about what they want from their government and society, the outcome is far more likely to be positive. Similarly, if a good education system is in place for the next generation of children, the likelihood of societal stability is greatly increased. So it is important we get this right. Literacy is critical. And public education is a wise investment. We welcome Dr. Tim Odegard to the blog to discuss dyslexia. 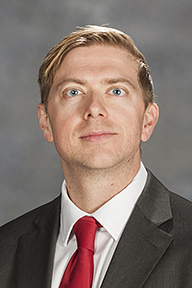 Dr. Odegard is a dyslexia expert and is currently the Chair of Excellence in Dyslexic Studies and a Professor of Psychology at Middle Tennessee State University. He is a cognitive psychologist and received his PhD from the University of Arkansas. He speaks locally and nationally on the process of reading and dyslexia. What are the signs and symptoms of someone with dyslexia? Students do not have to present with underachievement or difficulties in all of these areas to be said to have characteristics of dyslexia. We hear that 1 in 5 students have dyslexia. Is that fact or fiction? It is a number based on study documenting the prevalence rate of dyslexia. The prevalence rate ranges from 5 – 20 % depending on the nature of the sample included in the study. The reality is that when schools are required to report the identification rates of dyslexia the identification rate is less that 3%. This reality suggests that we do not have an issue of over identification in our country but one of under identification. The data on the identification rates of Specific Learning Disability in our public schools also suggests that we have an issue in some states of under identification of specific learning disability. Dyslexia is just one form of specific learning disability. When identified as having dyslexia, what type of intervention do students need to improve their reading ability? These students struggle to read words accurately and or quickly. This can limit their ability to comprehend written material and learn new vocabulary from written material. These students need direct instruction that systematically teaches them how to read words. Advocates say that OG (Orton-Gillingham) intervention is what is needed for all students with dyslexia. Has the OG method been proven to work with students with dyslexia? Yes, there were several controlled studies conducted to test the impact of various Orton-Gillingham based programs. The results of these studies were summarized in a meta-analysis published in the Annals of Dyslexia. Due to the age of these studies they were not included in the What Works Clearinghouse. Do all students who struggle with reading have dyslexia? No, a small number of students with a specific learning disability in reading struggle with comprehension in spite of being able to accurately and efficiently read words and text passages. A specific comprehension problem is not dyslexia. What are the two biggest misconception when it comes to dyslexia? Many people still think that dyslexia is a medical diagnosis that must be tested and diagnosed by a health professional. This is not true. The reality is that dyslexia is not a medical condition and does not require a medical diagnosis. Many people still think that school personnel cannot identify characteristics of dyslexia or dyslexia. This is not true. The reality is that school psychologists in our public schools are often the best equipped to identify dyslexia. The 2016 Say Dyslexia law helps to clarify this for schools, and the Center for Dyslexia is working to provide educators and parents with valuable resources to aid in the identification of dyslexia. What does the MTSU Center for Dyslexia offer parents and students? The Center for Dyslexia has a small staff of experts in dyslexia and literacy dedicated to providing resources to parents, student and educators. We offer assistance to parents in understanding how they can work with their child’s schools in support of school based identification of dyslexia. We also offer monthly parent workshops of different topics of dyslexia and supporting students with dyslexia. We have a limited capacity to provide testing services to students in the state. Today, members of Decoding Dyslexia – Tennessee wrote to the Nashville School Board in opposition of the budget investment in Reading Recovery. Decoding Dyslexia has four major points in their letter. We feel that MNPS should not spend so much money funding a program that is not evidence-based and is known not to work for the very kids (those with dyslexia) who struggle most to read. We strongly feel that MNPS should heed the guidance of the TNDOE (who worked tirelessly with dyslexia advocates from TN STEP, Decoding Dyslexia – Tennessee, Tennessee Center for the Study and Treatment of Dyslexia and Tennessee chapter of the International Dyslexia Association to craft this guide) and spend its money on the Orton-Gillingham program contained in the guidance from the State. We feel strongly that your district should follow the United State Congress’ lead and give students an evidence-based program to help all students read. I hope you will read the full letter below. Decoding Dyslexia – Tennessee makes a push for using evidence-based reading interventions for all students. Let’s hope MNPS takes their advice. 1. Science knows that students with dyslexia make up 20% of our student population and 80% of the kids who ultimately end up in special education for learning disabilities. Students with dyslexia are a huge percentage of our struggling readers. Scientists and dyslexia experts also know that students with dyslexia need an evidence-based program, like Orton-Gillingham, to learn to read. Leading dyslexia experts agree that Reading Recovery does not work for students with dyslexia and some, such as Lousia Motts, go as far to say its harmful and that it is “indefensible to keep spending money on this.” Sally Shaywitz, of the Yale Center for Dyslexia and Creativity writes “We have come too far and made too much progress to allow anything less than valid scientific evidence to be used in determining if, indeed, a program is effective in improving students’ reading.” We feel that MNPS should not spend so much money funding a program that is not evidence-based and is known not to work for the very kids (those with dyslexia) who struggle most to read. 2. Tennessee Legislature is about to pass the Say Dyslexia Bill which will require districts to screen students for dyslexia in kindergarten and will require districts to provide dyslexia-specific interventions, like Orton-Gillingham, to be put into general education in the RTI Tiers. Specifically, the Bill says “The LEA shall: provide student with appropriate dyslexia-specific intervention through the RTI framework.” We feel strongly that MNPS should spend its money training teachers in the Orton-Gillingham method, which will soon be required by law, which has been proven by years of research to teach the most troubled readers how to read. 3. The TN DOE has issued, in January 2016, the “Understanding Dyslexia: a Guide for Parents and Educators” which clearly states that: “It is not necessary for a student to be diagnosed with dyslexia in order to receive appropriate intervention. Once a school identifies that a student shows characteristics of dyslexia, it is important to provide the right interventions…These principles of instruction are often referred to by the following terms: Orton-Gillingham based, a Multisensory Structured Language, or Structured Literacy. Interventions must be aligned to individual students’ needs. For students with dyslexia or for students with the characteristics of dyslexia, the intervention should address the specific phonological deficits identified through targeted assessments.” We strongly feel that MNPS should heed the guidance of the TNDOE (who worked tirelessly with dyslexia advocates from TN STEP, Decoding Dyslexia – Tennessee, Tennessee Center for the Study and Treatment of Dyslexia and Tennessee chapter of the International Dyslexia Association to craft this guide) and spend its money on the Orton-Gillingham program contained in the guidance from the State. 4. The United States Congress has recently passed the Research Excellence and Advancements for Dyslexia (READ) Act which instructs the National Science Foundation to create best-practices on evidence-based educational tools for children with dyslexia. To pass the bill, the Congress held extensive testimony from dyslexia experts which, again, highlighted the need for evidence-based interventions for students with dyslexia. We feel strongly that your district should follow the United State Congress’ lead and give students an evidence-based program to help all students read. We urge you all to look deeply at this issue before dedicating such a large amount of money on something that is not proven to work for ALL students. Dr. Michael Hart, an international dyslexia expert of 25 years, is willing to come present to your board on our behalf once he returns from an international dyslexia conference in India the week of April 18th. Thank you for your attention on this most important issue. Thank you further for focusing your attention on literacy, which is hugely important for the success of ALL our students. 4. Congressional testimony about evidence-based vs. research-based practices https://youtu.be/nbQ9wAtTxlU. MNPS Budget Invests in Salary, Literacy, and EL. MNPS recently released their proposed budget for the next school year. The budget shows that MNPS is investing in some very important areas, including teaching pay. Teacher Salary: All teachers will receive a pay raise, but it will not be the same across the board. The pay raises will be dependent on years of experience. This shows that MNPS is prioritizing experienced teachers in the system. We need to retain our experienced teachers. The vast majority of funding for employee pay raises will go toward changes in the certificated salary schedule. It is being completely rewritten to correct issues where our teacher pay is below market levels, particularly for teachers with 5-10 years of experience. All teachers will receive a pay increase, though amounts will not be the same across the board as they have been in years past. The pay increase teachers can expect will depend on their years of experience. While we are competitive in starting teacher salaries, market data shows we’re not increasing teacher pay quickly enough during the first half of a teacher’s career to be competitive with how similar cities in our region pay more experienced teachers. The revised certificated salary schedule has not been finalized. We’re in the process of seeking input from various stakeholders, including MNEA. 48 more Reading Recovery teachers plus 2 additional teacher leaders to assist with training Reading Recovery teachers. 15 part time reading interventionists that will be trained in the Comprehensive Intervention Model and work with elementary students who are two grade levels behind in reading. Expands the literacy coaching partnership with Lipscomb. This expanded partnership will include 14 more schools and allow 16 EL coaches to participate. 10 summer school sites to work with struggling readers. Wow. I am so excited for the investment in literacy intervention by MNPS. This is awesome. 12 bilingual tutors will be hired for a new program that will focus on refugee students. 2 registrars and 6 part time assessors to help with registering students. Pay raises for parent outreach translators. The budget proposal also adds more community achieves site locations and stipends for teacher leaders. As a teacher, this is a very exciting budget proposal. Go here to find more information on the budget proposal. This is far from a done deal, but it’s a great start. What do you think of the proposed budget? Close a School Because of a Reading Assignment? That’s What One Nashville School Board Member Wants. Ravi Gupta, Co-Founder and Chief Executive Officer of RePublic Charter Schools, wrote a blog post about Nashville School Board Member Amy Frogge complaining to MNPS about a book that seventh graders at Nashville Prep are currently reading. Amy Frogge wants to close down Nashville Prep because they are reading City of Thieves, a book she does not want in middle schools. This is what censorship looks like. If you want to close a school because they are reading a book you don’t like, you may be closing a lot of schools in Nashville. We hear so much of autonomy in MNPS schools, but some involved in education are still afraid to give up all that power. Nashville Prep agrees with the teaching of City of Thieves. That’s all that matters. If parents disagree with that decision, they can take it up with Nashville Prep and their board. Seventh graders can handle mature content. When you work with these students everyday, like I do, you know what type of content they can handle. The seventh graders I have worked with in MNPS can handle mature content. Teachers & schools know their students. That’s what we are trained to do. Nashville Prep knows how to educate their students. What can the Nashville School Board do to Nashville Prep? As a literacy educator, I hate seeing books attacked while students are actually reading. City of Thieves could be the turning point for many of the middle schoolers to stick with reading. While we are spending time discussing the merits of the books, Nashville Prep is making growth while other schools are not. Nashville Prep must be doing something right. 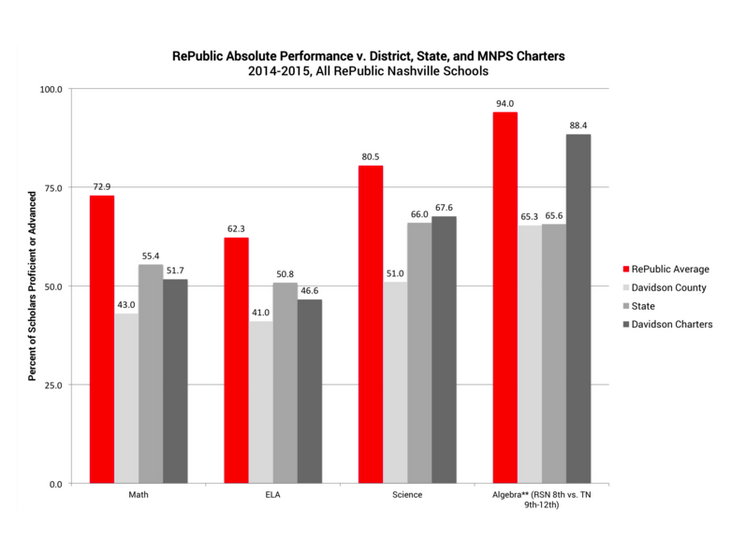 Please read the rest of the blog post that was posted by RePublic Charter Schools to hear about the claim that City of Thieves was too high of a lexile for the students at Nashville Prep and how Amy Frogge & Chelle Baldwin were for Nashville Prep before they were against Nashville Prep. UPDATE: Amy Frogge has responded to Ravi Gupta with a lengthy Facebook post that you can read here. She lists many allegations against Nashville Prep that she has heard over the years. You can read those at her Facebook page. Since my post deals with the issue of the book, City of Thieves, here is what she as to say on that topic. This book currently resides in high schools in Nashville. This may be the start of at least one book being banned in MNPS.